A national education charity is calling on schools around the country to swap their desks for the outdoors on Thursday 1 November. Outdoor Classroom Day is returning this November – and this time promises to be bigger and better than ever before. Following a record 2,612 schools and nearly 350,000 children taking part across the UK and Republic of Ireland (ROI) in May, schools are being challenged once more to take lessons outdoors and prioritise playtime. 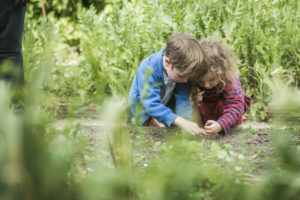 The international initiative, led in the UK and ROI by national school grounds and education charity Learning through Landscapes and globally by Project Dirt, acts as a catalyst to inspire more time outdoors on a daily basis: both at school and at home. Its long-term aims include for children to have access to 90 minutes of playtime at school every day. 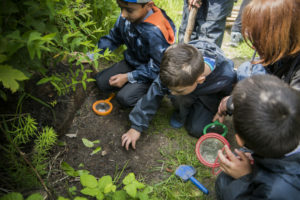 Speaking of November’s campaign, Carley Sefton – CEO of Learning through Landscapes – said: “We are proud to continue leading the Outdoor Classroom Day campaign in the UK and ROI; it’s an initiative that we know is critical not only to the health and wellbeing of children and young people, but also to their cognitive development. “It’s proven that outdoor learning and play increases social skills, imagination, engagement with learning, concentration and behaviour. We know that 90% of teachers who got involved in 2017 said that children were more engaged in their learning and 72% said that they were better able to concentrate after learning outdoors. As mental health challenges rise and pressures on children and young people increase, it becomes more and more vital that we harness these easy-to-achieve benefits. “Between our 2017 campaign and May 2018, one fifth of teachers in the UK and ROI told us they had increased time for outdoor play since taking part in the campaign, with two fifths increasing outdoor learning time. We know the initiative has the power to change pupils’ school life. This November’s campaign will centre on the benefit of risky play and learning in school grounds and outdoor spaces, focussing on the impact an individual’s actions can have on our environment. 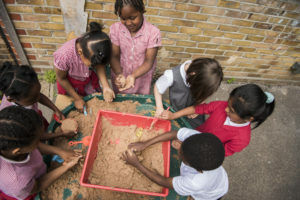 Cath Prisk, Global Partnerships Director at Project Dirt, said: “We wanted to use this Outdoor Classroom Day to show that risky learning and play is a crucial part of growing up. “Dirty knees and scratched elbows are not something children should fear – they should stand as a foundation to teach them about their strengths and limitations. Although some schools are on half term on 1 November, the campaign still invites them to register and simply go outdoors on a day that suits them. Parents and supporters can also sign up to show their support and to get more information about how they can help make outdoor play and learning part of every day for every child.